Home is where the heart is, or so the saying goes. But let’s face it—home is where the money is, too. Your home is not only the place where you live and raise your family, it’s also an investment. And if you’re like most people, then your home is probably the largest investment you’ll ever make. Someday, you may want to sell that home and hopefully earn a profit. That’s another way plantation shutters can be beneficial. When you choose to decorate a room with plantation shutters from Southern Shutters & Blinds in Georgetown, TX, you’re not only making a beautiful aesthetic choice, you’re also making a sound investment. That sound investment can pay off even before people walk through your front door. Ask realtors and they will tell you that the value of curb appeal cannot be overstated. 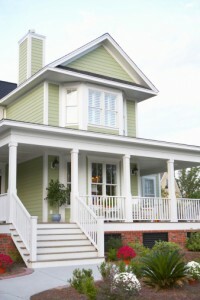 With plantation shutters, you increase the curb appeal of your home. From the street, visitors, passersby and someday buyers will see a pleasing and uniform look. Shutters have a clean look and are quite appealing from both inside and outside your home. In addition, many home buyers favor shutters when they compare potential homes, which can make your investment in plantation shutters from Southern Shutters & Blinds pay off in the long run. And did you know that the IRS considers installing shutters a capital improvement to your home? This can mean tax savings when it comes time to sell your home. Be sure to keep copies of your receipts for potential tax savings. Because plantation shutters are seen from the outside of your home, you may want to consider the exterior of your home when you choose shutters. For example, if the exterior of your home is a darker color, then you may want to choose stained shutters instead of ones that are painted white. If you’d like to learn more about how plantation shutters can increase the curb appeal and value of your home, then call Southern Shutters & Blinds today to schedule a FREE In-Home Personal Design Session. Southern Shutters and Blinds proudly serves customers throughout Georgetown, TX, and Canyon Lake, Bee Cave, Burnet and Boerne and the surrounding communities.